Andhra Pradesh Government is starting Internet, Cable and Phone Service (ICP Service), through Optic Fiber Cable (OPF). 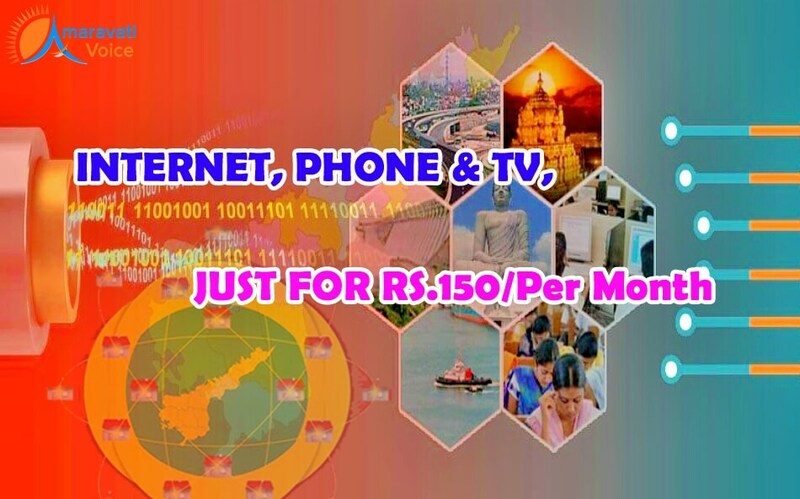 With this government is planning to provide internet, telephone and cable TV at Rs.150 per month. Government is targeting to provide this service to 1.20 crore households in the state. By 2017 July, government is targeting to give 8 lakh connections. Government is starting this service on March 17th as a pilot basis in Srikakulam, Vizianagaram and Visakhapatnam. It will be implemented in phased manner to all other districts of the state, by June end. The main use of this service is, right now we are using different platforms for Cable, Phone and Internet. For Cable, Set-up Box; for Internet, Modem; for Wifi, Router. Also in the villages, there is no clarity in voice calls, cable and very slow internet. To overcome all these and to get all these three services through one platform, government is using Optic Fiber Cable (OPF) we get all these three.